On the day the FCC voted 3-2 for net neutrality rules, the Quello Center announced the launch of our ‘Net Neutrality Impact’ (NNI) study. 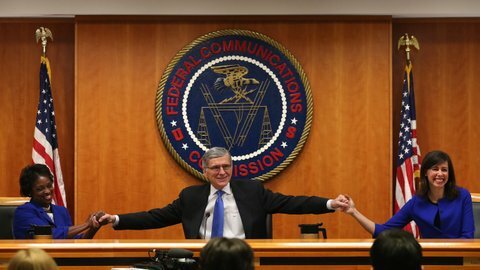 After years of speculations and predictions about the implications of network neutrality, we will be able to study the actual consequences through a natural experiment created by the FCC’s ruling. So remember what you have claimed to the likely consequences of net neutrality, write them down, let us know, and follow our project at the Quello Center. Of course, we also welcome the involvement of other policy researchers who are as curious as we are about what will flow from this decision and how to capture these impacts in the most reliable and valid way.